An Arden Arcade injury occurred on January 31 when two vehicles collided at El Camino Avenue and Bell Street. The accident happened around 10:14 in the morning when a pickup and minivan crashed together. The California Highway Patrol (CHP) reported that a minor, who was riding in one of the vehicles, suffered injuries in the accident. That minor was taken to Mercy General Hospital for evaluation and treatment. The accident is under investigation by the CHP to determine how it happened and assess fault. The driver runs a red light or stop sign, causing a T-bone accident. The motorist turns in front of an oncoming car, causing a head-on collision. Thedriver changes lanes when in a turn, which causes a sideswipe accident. The motorist neglects to see a vehicle at a stop sign and slams into the rear of their car. The driver makes a right-hand turn without looking for pedestrians or bicycle riders. The driver is speeding and cannot stop in time for a light change. The motorist tries to pass through a yellow light that is getting ready to turn red. The motorist tries to turn right when the view is obstructed by traffic in the left lane. Distracted driving: Texting or talking on a cell phone is the number one cause of distracted driving. Driver fatigue: Staying up late the night before, being on certain medications and shift work can contribute to driver fatigue. Drunk driving: Drunk drivers exhibit poor judgment and coordination as well as having their vision affected when behind the wheel of a car. Drugged driving: Drugs can stay in an individual’s system for a long time, and this can affect the way they drive. Auto defects: A blown tire, defective brakes, and other mechanical problems can lead to an accident. Medical conditions: Sleep apnea and certain diseases can make it dangerous to get behind the wheel of a car. Weather conditions: Adverse weather conditions are sometimes unavoidable if the driver has to go out. Using extra caution such as slowing down can help. Tailgating: Tailgating causes accidents because the driver does not have the space or time necessary for the vehicle to stop and avoid a collision. Suffering injuries in a motor vehicle crash is bad enough. Not being able to pay your medical bills and losing time at work makes it worse. However, an individual who suffers injuries because someone else was negligent can obtain the compensation they deserve and need to pay those financial debts. A lawyer experienced in handling motor vehicle crashes can use existing evidence such as police reports to check for accuracy. The lawyer can, in addition, conduct their own investigation to show fault by using accident reconstruction, expert witnesses and other techniques. 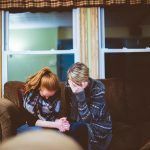 In this way, a strong case can be built to present in civil court if the insurance company balks at paying what you need. I’m Ed Smith, an Arden Arcade injury lawyer. 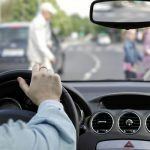 Motor vehicle accidents can leave an injured person and their family with high medical costs, lost wages, and other expenses. 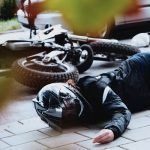 If the accident was due to another’s negligent actions, a claim for fair compensation can be made. Call me for free and friendly advice at (916) 921-6400, or contact me through (800) 404-5400. An online contact form at AutoAccident.com is available also. The National Association of Distinguished Counsel invites only lawyers they deem to have the highest standards to join their group. I’m proud to belong to this association. I also belong to the Million Dollar Forum, which was established to recognize top trial lawyers who have won more than one million dollars for a prior client. 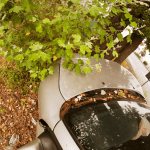 For 37 years, I’ve represented many people from Sacramento and Northern California to obtain fair compensation in all types of motor vehicle collisions, wrongful death claims, and traumatic injuries.